Elad Yifrach, a former interior designer, introduced L'Objet in 2004. With a collection that blends ancient techniques with a modern sensibility, L'Objet features beautiful dinnerware, table linens, serveware, and accessories that are carefully handmade by European and Asian master craftsmen. 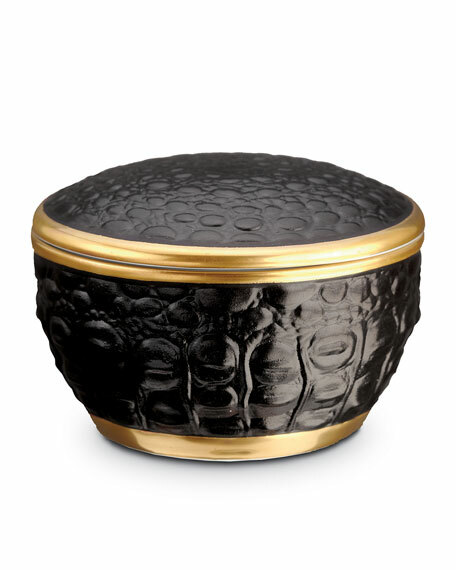 The L'Objet collection also includes accents for the home, including frames, candles, and desk accessories, many of which are crafted from 24-karat gold, platinum, and other fine materials.